Eliminate the dull drone of your factory exhaust with the installation of a Cat-Back Exhaust Kit from Corsa. 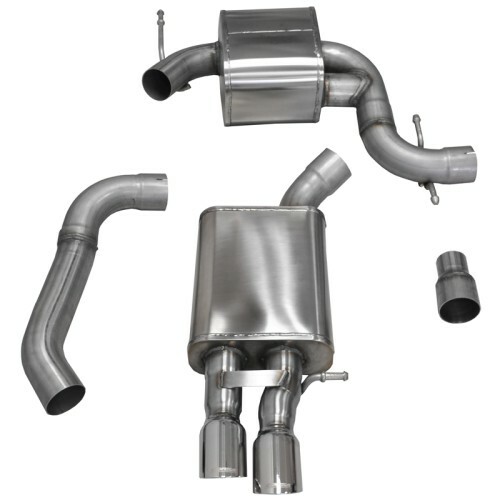 Manufactured using high quality materials, this Cat-Back Exhaust Kit will last on your Volkswagen Jetta for years in even the harshest of conditions. Corsa has carefully constructed this Cat-Back Exhaust Kit to specifically fit the personality of your Volkswagen Jetta. 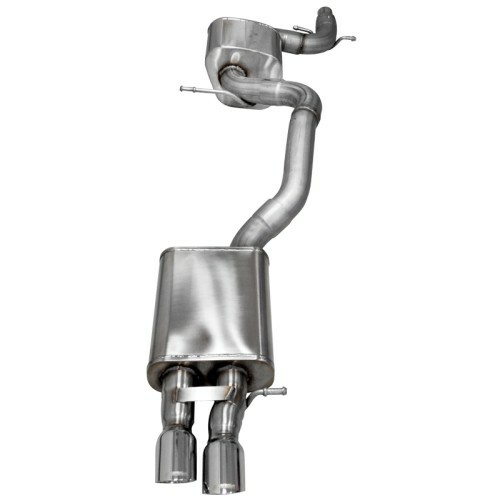 This Cat-Back Exhaust Kit has been designed to increase performance and add an aggressive growl to your Volkswagen Jetta. Included with every Cat-Back Exhaust Kit is a set of descriptive, easy to follow installation instructions to guide you through the installation process quickly and simply. If you've been searching for a way to improve the efficiency and sound of your Volkswagen Jetta, this Cat-Back Exhaust Kit is perfect for you. Order a Cat-Back Exhaust Kit for your Volkswagen Jetta today!